I've been building custom PCs since the days of the 486, initially what started as a hobby and passion quickly developed into more as I became the "go to guy" for all of my family and friends whenever they were in need of anything from a home office computer to a fully fledged custom gaming PC. Some of my customers have a set budget they need to stick to in which case I can provide options and recommendations to get them the best bang for their buck, other times I have customers that want to build the best machine for gaming in general or for a specific game such as the MMO game World of Warcraft. What type of custom PC do I need? Usage for basic level custom PC: Browsing Internet and Email, Using Social Media (e.g. Youtube, Facebook, Instagram, Twitter), Watching Movies and TV, Listening to Music, Writing Documents, Burning CDs and DVDs, Chatting on Skype. 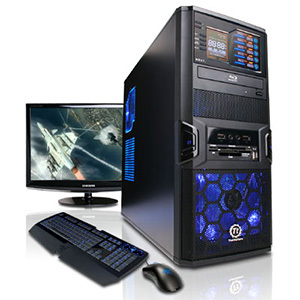 Usage for high end custom PC: All of the above plus lots of online gaming and/or heavy use of video and photo editing software. Gaming and video/photo editing are memory and CPU hungry applications, there are other applications that require a lot of RAM or CPU but these are the most common. If you're not sure about the application you want to use give me a call and I'll let you know. Below are some case studies of the recent custom built computers I've done in the Campbelltown & Wollongong areas. I had a call from a guy in Eagle Vale that was interested in getting a top of the line custom built computer specifically for gaming performance. After discussing a few different recommendations for gaming PC hardware setup, he decided to go with the following CPU, RAM, video card and hard drive options. Recommended CPU: Core i7 6700K (Skylake-S) - this is one of the fastest processors Intel has come out with to date, and has several major improvements over it's predecessor the i7 4790K (Haswell) including a faster connection between the CPU and motherboard, improvements with integrated graphics, and support for DDR4 RAM. Recommended RAM: 16GB Low Voltage DDR4 - low voltage memory is a bit more expensive but is slightly faster than regular memory which results in lower latency while gaming. Recommended Drive: 1.2TB Intel 750 Series SSD - faster than traditional SSD drives because it uses PCI-express rather than SATA. Recommended Video Card: GeForce GTX 970 4GB - for excellent performance at high and ultra quality settings, giving the ultimate gaming experience. I built and delivered the computer within a week to the customer's home in Eagle Vale near Campbelltown, just off Emarald Dr near the Eagle Vale Marketplace, he was extremely happy with his new custom gaming PC. Snoopex Computer Repairs Campelltown & Wollongong © .